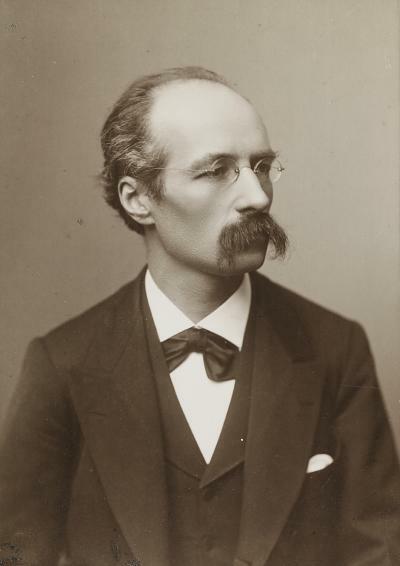 Born into an upper class family, Henri La Fontaine (1854-1943) is a lawyer specialised in international law. This pacifist will champion his work as a means to reach world peace through Belgian and international organisations, particularly though the International Peace Bureau, which he will preside from 1907. In 1913, he receives the Nobel Peace Prize as recognition for his activities. Another key activity of La Fontaine is the right of minorities. He participates to the creation of the Belgian League of Women’s Rights in 1892. A member of the Labour Party since its creation, he is one of Belgium’s first socialist senators in 1894. He will work for universal suffrage, mass education and working regulations. In 1895, passionate about bibliography, he founds the International Office of Bibliography, future Mundaneum, with Paul Otlet. Henri La Fontaine’s personal papers consist of around 350 archive boxes, which prove an essential source on the history of pacifism, both Belgian and international and contain many precious documents on feminism and socialism. The inventory of these archives may be consulted via our online catalogue.